The answers are here. These pages cover the progress of the romance of their decision to buy, to renovate and modernize, and the opening and operation of the inn. 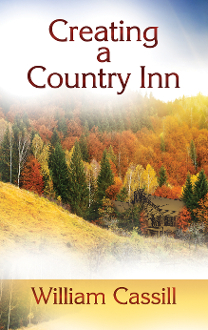 You will read what they learned from their experience, and rules and tips from their perspective of this Inn life. You may find this interesting, and it will be helpful to readers who may be giving serious consideration to inn keeping, or may just be curious about what it was like.